This trend has enough time in the circle of fashion, each model, actress and celebrities has a few pairs of these little ones and the best part of this is that currently works for many occasions, to go to a casual place, to go shopping, for a night out with friends and it works for every day so, you have your pair? And if you don't, what are you waiting for? I would wear almost every pair of jeans you included! It's great how you don't have to spend a bundle for a great pair. I love distressed denim! It goes with so much and is so low-key and causal. I love those boyfriend jeans! You can never have too many jeans! Thanks for sharing so many new styles. I think everyone loves this! 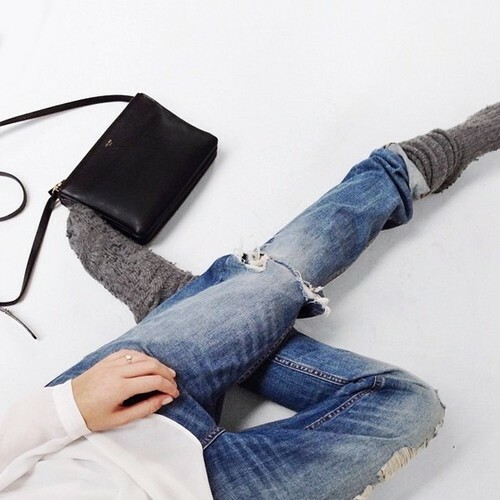 Who doesn't have a pair of distressed jeans? Love! I like the look and the whole amount of jeans!